Have you ever wanted to run away to an (almost) deserted tropical island where you have no modern technological distractions, with only the weather and sun to guide your day? 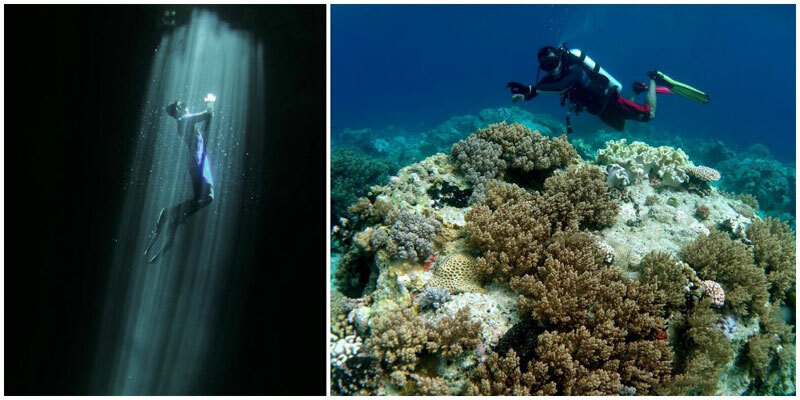 Rising from the depths of the Banda Sea, southeast of the mainland of Sulawesi, the main islands of Wangi-Wangi, Kaledupa, Tomia, Binongko (WaKaToBi) is an island paradise that offers laidback vibes and access to world class reefs. With more than 40 existing diving spots, the late Jacques Cousteau once claimed Wakatobi as the finest dive site in the world! But we would say it is much more than just a diving destination. 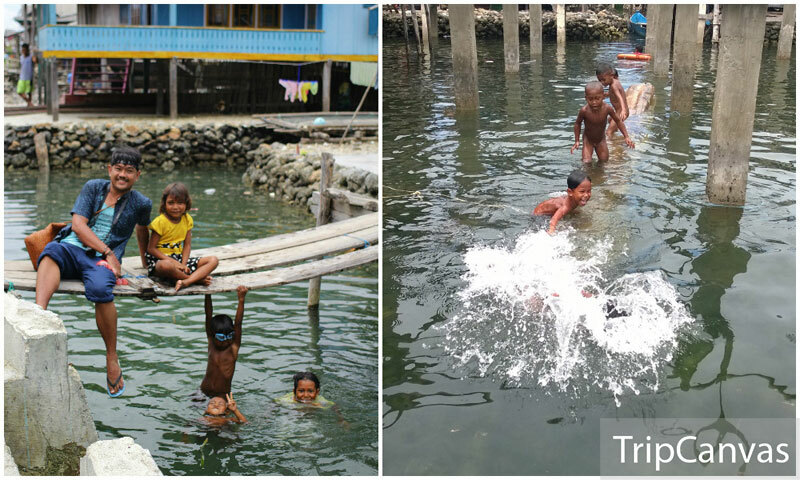 When you come to Wakatobi, the top expectation is to have fun. 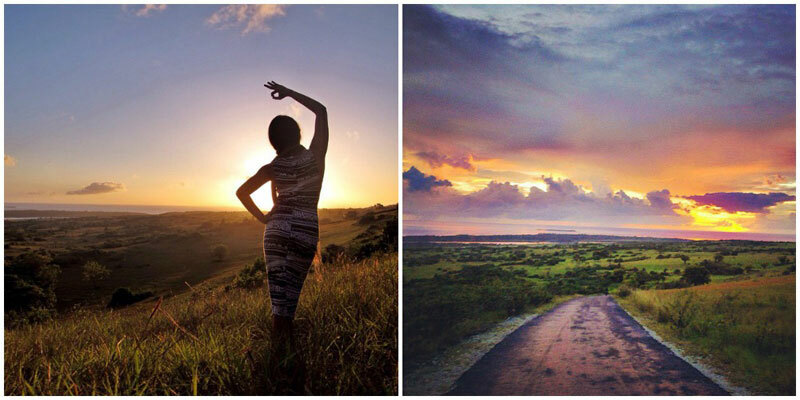 There is something about Wakatobi that no matter where you go or what you do, you’ll have an amazing time. If you don’t dive, you can also enjoy Wakatobi’s hospitality and cultural heritage – with quaint villages, rugged wilderness, ancient relics and ruins, and white-sand beaches all just a short hop away from each other. What can be better than diving or snorkeling in the morning, relaxing on a private beach or exploring water caves in the afternoon, enjoying the sunset while having a drink at a restaurant overlooking the sea, then ending the day by admiring the Milky Way with the naked eyes? So what are you waiting for, look up that calendar and start planning your next trip to Wakatobi! Don’t worry, we’ll help you with this comprehensive guide. Take Lion Air to Sultan Hasanuddin Airport, Makassar/UPG (1 stopover at Soekarno-Hatta International Airport/CGK). Return flights from USD 180 – approximately SGD 247. Take Wings Air from Makassar to Wakatobi Matahora Airport/WNI via Kendari. The flight is scheduled every Monday, Wednesday, Friday and Sunday Morning at 08.10 AM. While on Tuesday, Thursday and Saturday at 10.00 AM. Duration: 2,5 hours. Note: Some online booking websites will indicate this as a transit flight, but passengers to Wakatobi can stay in the airplane in Kendari during the 20 minutes transit before continuing to Wakatobi. Return flights from USD 130 – approximately SGD 180. Take Lion Air to Sultan Hasanuddin Airport, Makassar/UPG (1 stopover at Soekarno-Hatta International Airport/CGK). Return flights from USD 150 – approximately MYR 632. Take Wings Air from Makassar to Wakatobi Matahora Airport/WNI via Kendari. The flight is scheduled every Monday, Wednesday, Friday and Sunday Morning at 08.10 AM. While on Tuesday, Thursday and Saturday at 10.00 AM. Duration: 2,5 hours. Note: Some online booking websites will indicate this as a transit flight, but passengers to Wakatobi can stay in the airplane in Kendari during the 20 minutes transit before continuing to Wakatobi. Return flights from USD 130 – approximately MYR 547. Take Garuda Indonesia from Sydney/SYD to Sultan Hasanuddin Airport, Makassar/UPG (1 stopover at Ngurah Rai International Airport Bali/DPS). Return flights from USD 745 – approximately AUD 973. Take Wings Air from Makassar to Wakatobi Matahora Airport (WNI) via Kendari. The flight is scheduled every Monday, Wednesday, Friday and Sunday Morning at 08.10 AM. While on Tuesday, Thursday and Saturday at 10.00 AM. Duration: 2,5 hours. Note: Some online booking websites will indicate this as a transit flight, but passengers to Wakatobi can stay in the airplane in Kendari during the 20 minutes transit before continuing to Wakatobi. Return flights from USD 130 – approximately AUD 170. Take Lion Air to Sultan Hasanuddin Airport, Makassar/UPG. Return flights from Rp. 800.000 (Approximately 60 USD). Take Wings Air from Makassar to Wakatobi Matahora Airport (WNI) via Kendari. The flight is scheduled every Monday, Wednesday, Friday and Sunday Morning at 08.10 AM. While on Tuesday, Thursday and Saturday at 10.00 AM. Duration: 2,5 hours. Note: Some online booking websites will indicate this as a transit flight, but passengers to Wakatobi can stay in the airplane in Kendari during the 20 minutes transit before continuing to Wakatobi. Return flights from USD 130 – approximately Rp. 1.75 million. 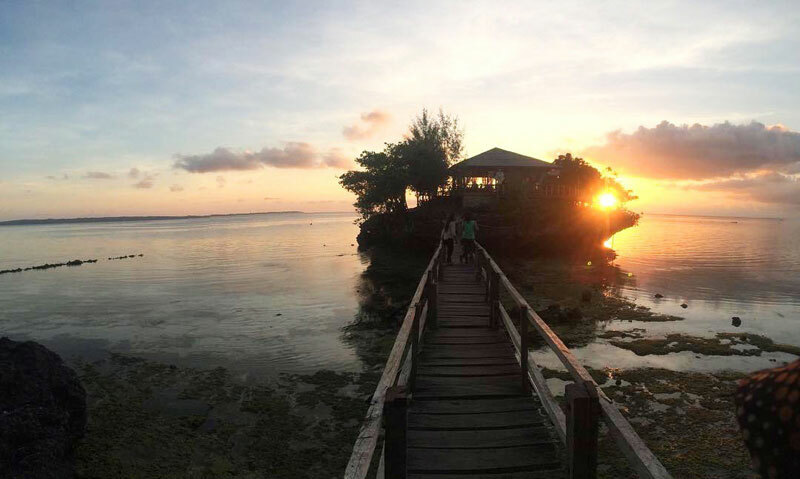 March to May and October to December is the best time to visit Wakatobi. 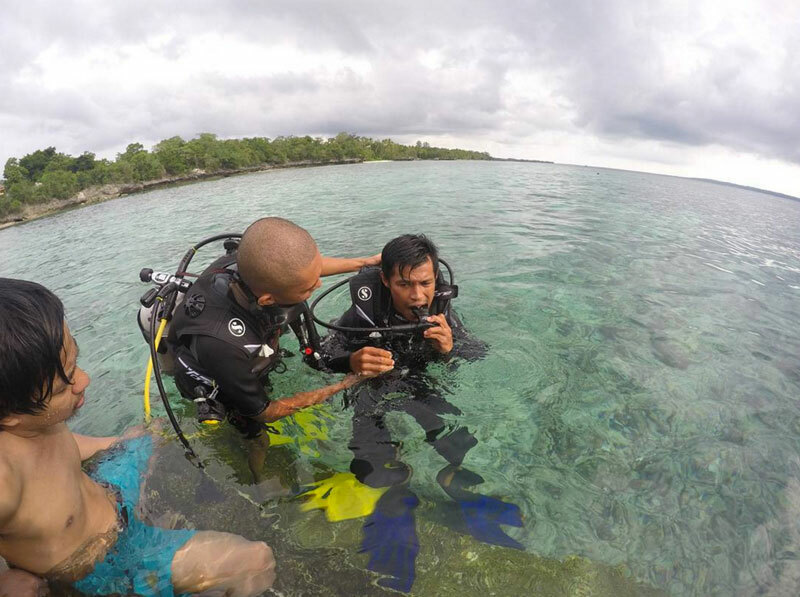 However, you can dive at any period during the year, as visibility is not affected by the weather. On the main islands, ojeks (motorcycle drivers) are easy to flag down on any main road or harbour and usually cost around IDR 5,000 – IDR 20,000 for a short trip, such as from the hotel to the harbour. There is no other form of public transport and the only way to get around the island is by renting a car (around IDR 350,000 / USD 26 per day). 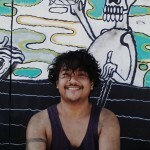 There are public slow/fast boats connecting the main islands of Wangi-Wangi, Kaledupa, Tomia, and Binongko on a rolling schedule. 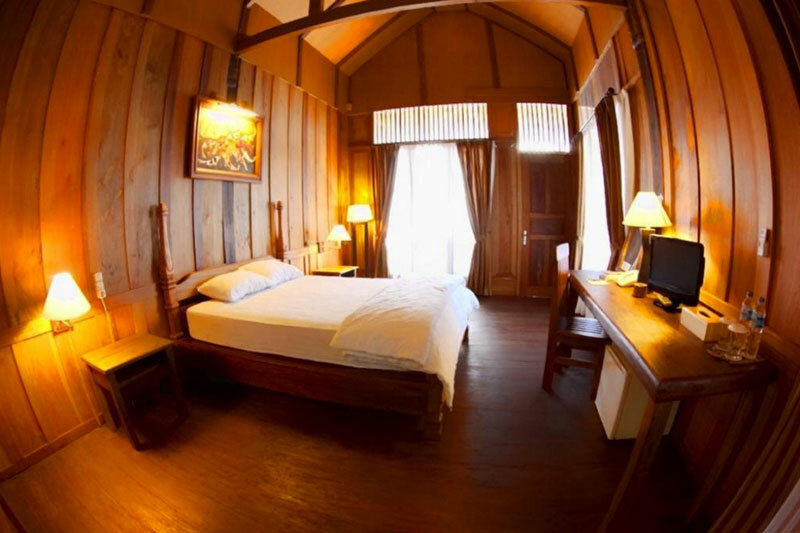 Standard rates are from IDR 50,000 (USD 4) – IDR 150,000 (USD 11) per person. 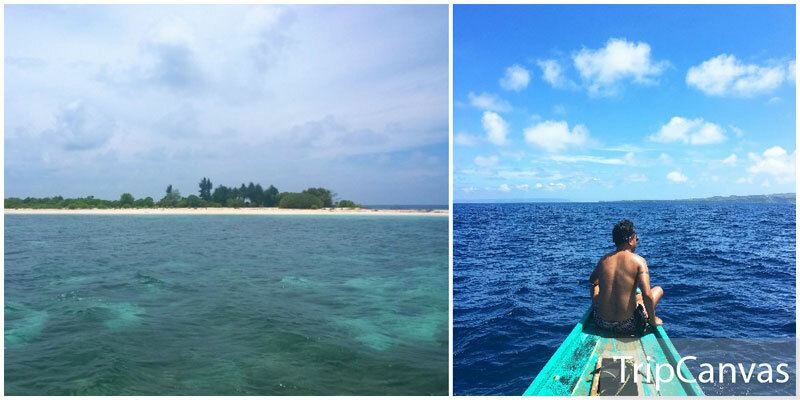 You can also rent smaller boats that travel to the various islands, which typically cost around IDR 1,200,000 (USD 90) per boat. 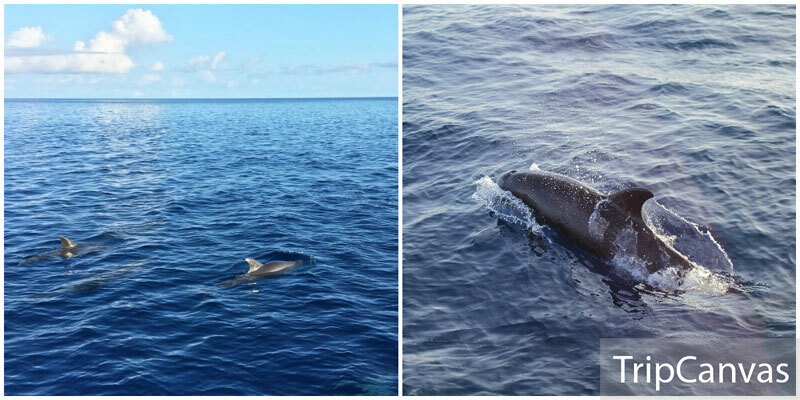 If you think you’ve seen enough dolphins at Lovina Beach, Bali, wait till you visit their “playground” in Cape Kapota, around 40 minutes by boat from Mola Harbour. Bet you’ve never seen that many of them! 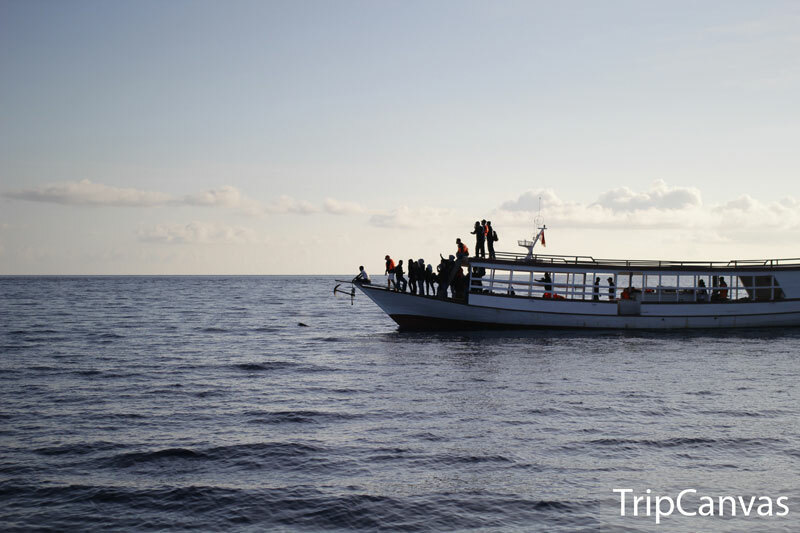 On your way there, you’ll have the opportunity to take in the magnificent spectacle of sunrise and watch the sunbeams illuminate the blue waters of the Banda Sea. Once you’ve located the dolphins, be ready to have the most unforgettable experience of seeing hundreds of dolphins frolicking in their natural habitat, jumping, dancing, and swirling. They often come so close to the boat that we can hear their high-pitched clicking and squeaking. Isn’t this such a magical journey that you can share with your family? 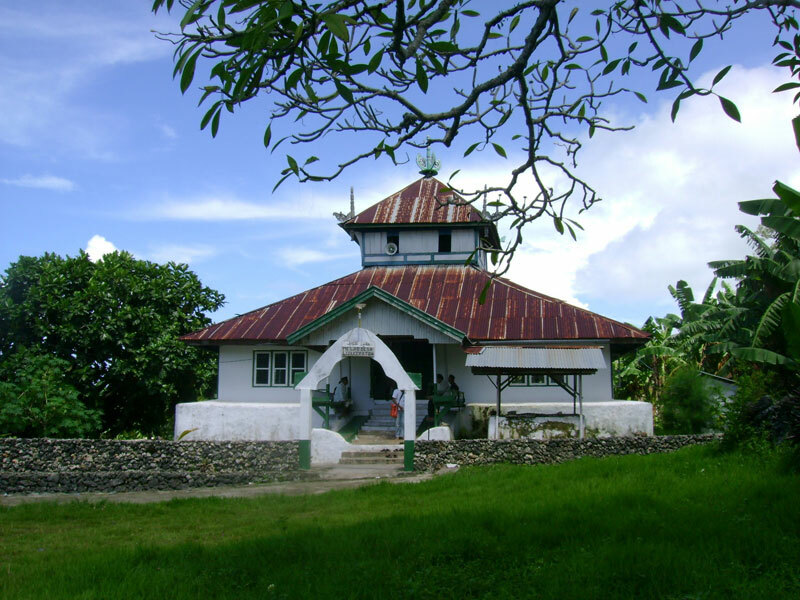 Kulati Village is a small village in the eastern part of Tomia Island. When you first step in, you may not see anything special about it. 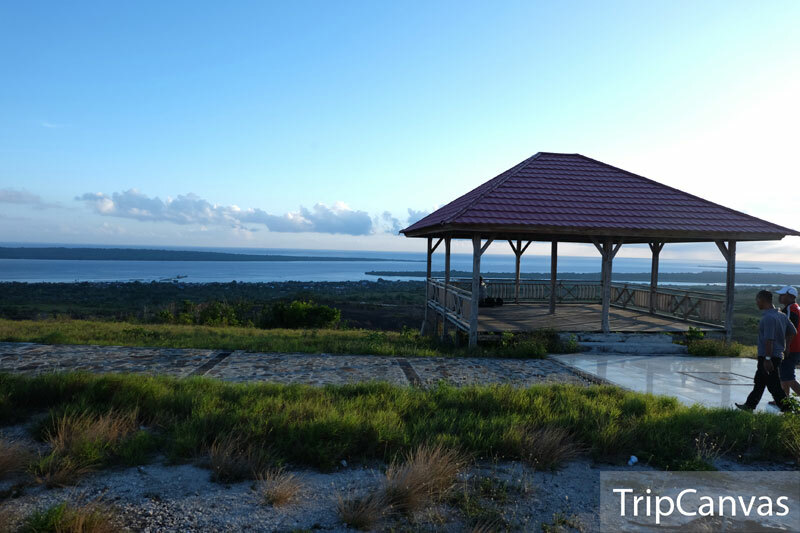 However, as you reach the hilly part (near the Tourism Information Center/TIC), you will realize what makes this village stands out: a stunning landscape view of turquoise seas with majestic cliffs and palm trees all around. But that’s not all. 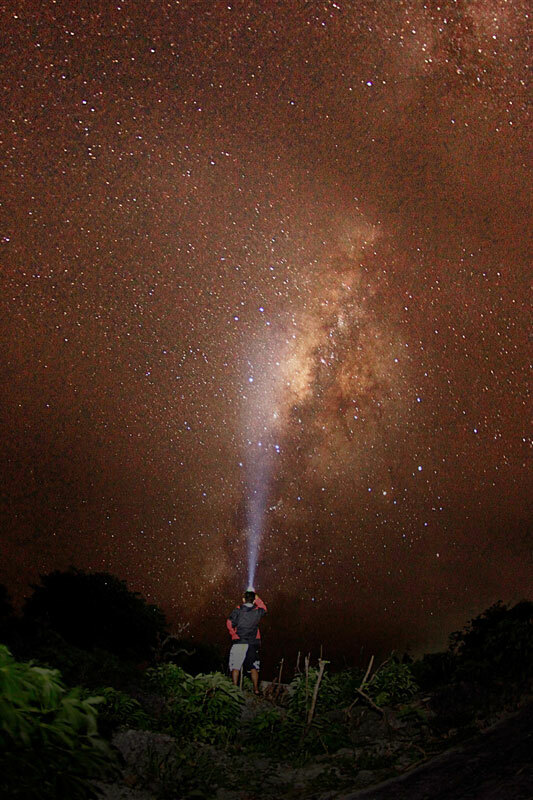 Right before midnight, when the electricity is off – leaving the village in total darkness with very little artificial light surrounding the island – you can choose any place, either on the beach or on top of the hill, just to gaze up at a jaw-dropping view of the beautiful skies above. 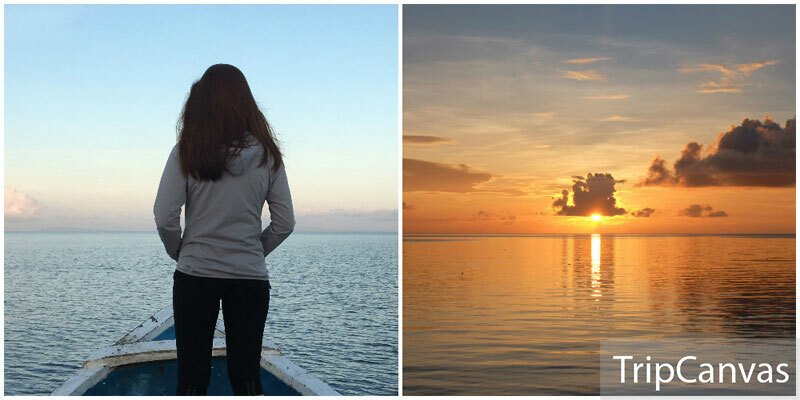 Pssst… Don’t forget to make a wish (to return to Wakatobi?) when you see the shooting stars! 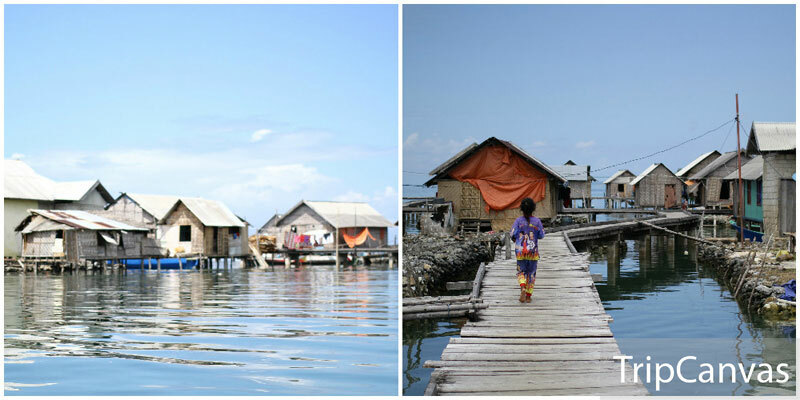 Getting there: The village is located in Tomia Island (3,5 hours by public boat from Wangi-Wangi Island). From waha Harbour in Tomia, Kullati Village can be reached within 30 minutes by car or motorbike. Driving down the scenic road to Kulati is a very relaxing experience. You can rent car or motorbike at your hotel in Tomia or contact the TIC in Kulati to arrange the pick up. Coordinate here. 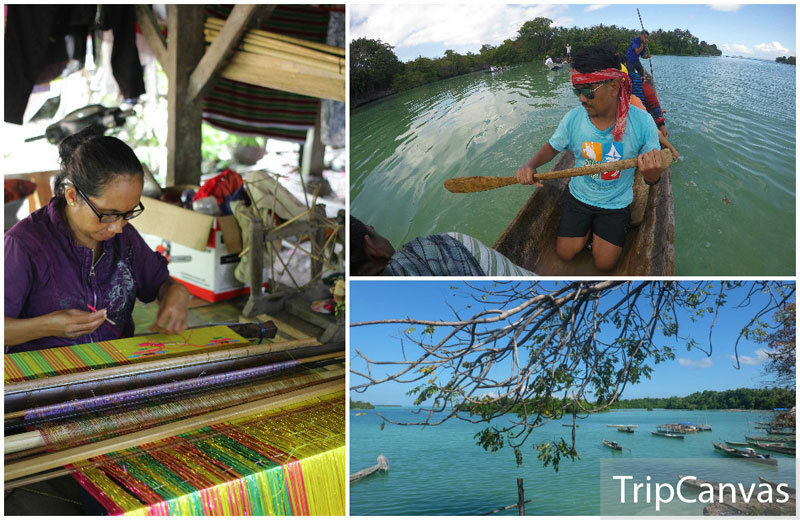 If you think that Aqua-man is just a fictional comic book character, then you should visit Bajo Sampela. 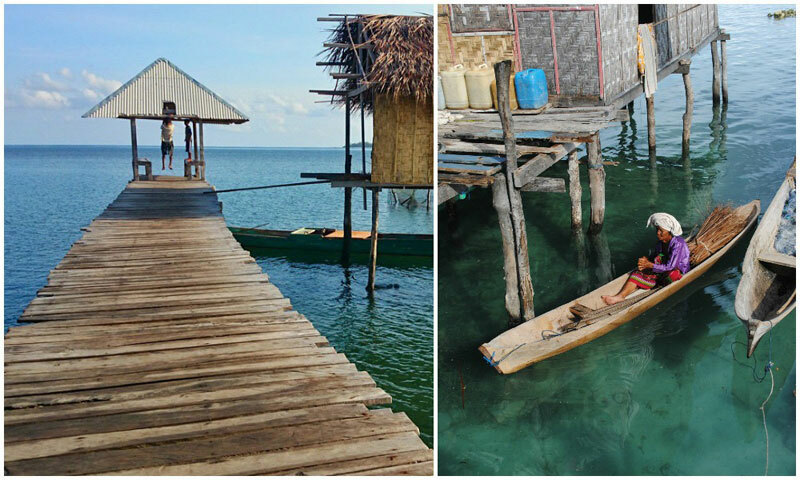 Bajo Sampela is a traditional village in the middle of the ocean with 3000 inhabitants living in traditional wooden houses built on stilts 3km from mainland Kaledupa Island. Arriving in this village, you will be welcomed by children greeting you with an ear-to-ear smile. They will probably be the happiest kids you’ve ever met. Don’t be surprised if you see a 3-year- old laughing and running around, before suddenly jumping directly into the deep sea. This friendly tribe has lived near the sea for centuries, so most of them are excellent free-divers. Unlike most fishermen who float above their prey, the Bajo dive and walk the ocean’s floor to hunt fish with traditional spear-guns. Wearing wooden goggles and no fin, they can dive up to 20 meters deep and remain underwater for as long as 5 minutes with a single breath. Now that’s what we call a village full of Aqua-men. How cool is that! 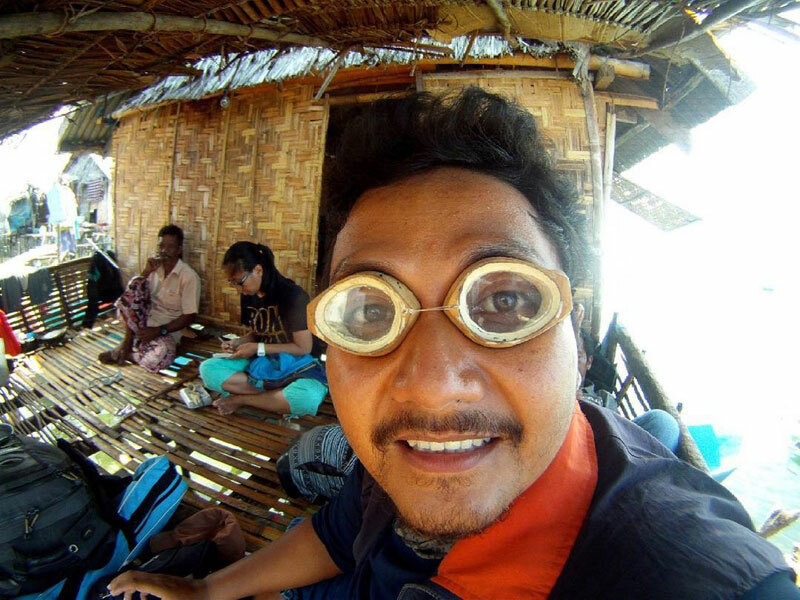 PS: Do buy their one-of-a-kind homemade wooden goggles for a keepsake! Getting there: The village is located about 3Km from mainland Kaledupa, it takes 15-20 minutes small boat ride. Coordinate here. 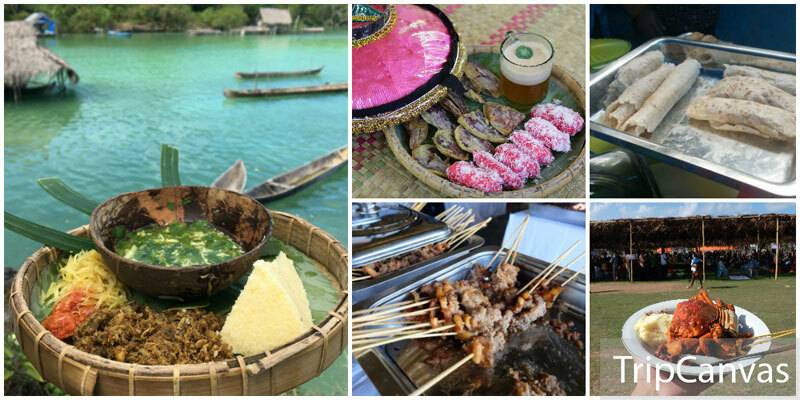 Be ready to put extra pounds as you satisfy your cravings by indulging in delicious, unique (sometimes bizarre) Wakatobi feast. Dishes to try: Kasuami (staple food of Wakatobi – made from grated cassava pulp, usually paired with grilled fish and chili), Parende (clear soup made from fresh coral fish, best served hot and spicy), and Karasi (traditional crepe-like snacks made from cassava). 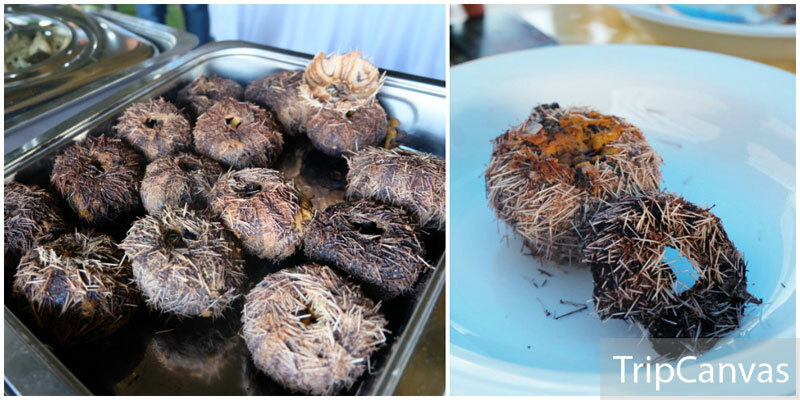 The more adventurous should definitely try sea urchins. Yes, they may look scary at first, but don’t be fooled by their appearance. Their paste-like roe or eggs are the edible part which can be found by cracking the brittle body. If you taste it with your eyes closed, you probably would ‘ve mistaken it for delicious foie gras! Wakatobi culture is best experienced during events and activities that highlight what the local people love – family, children, and celebrations. 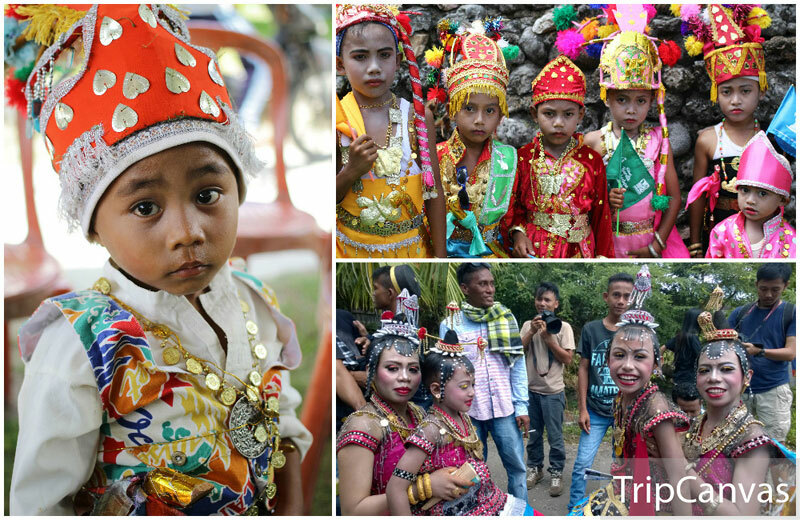 People in Wakatobi love to celebrate, and there is no better way of celebrating than through ceremonies and festivals. One of these ceremonies is Karia’a, that’s usually held after Ramadhan holy month as a part of Festival Barata Kahedupa. 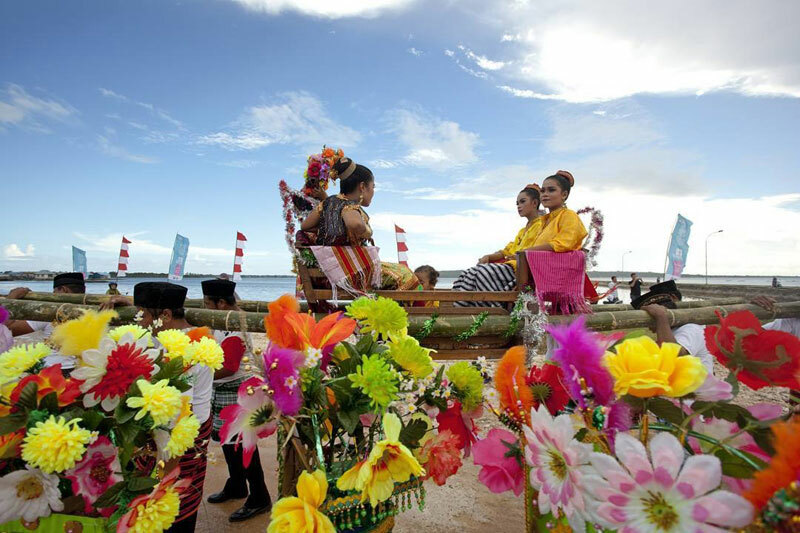 During the ceremony, little girls are dressed up in traditional clothes and headdress made of colorful paper and flowers, then carried on barrows to be paraded through the streets enlivened with dancing and singing. 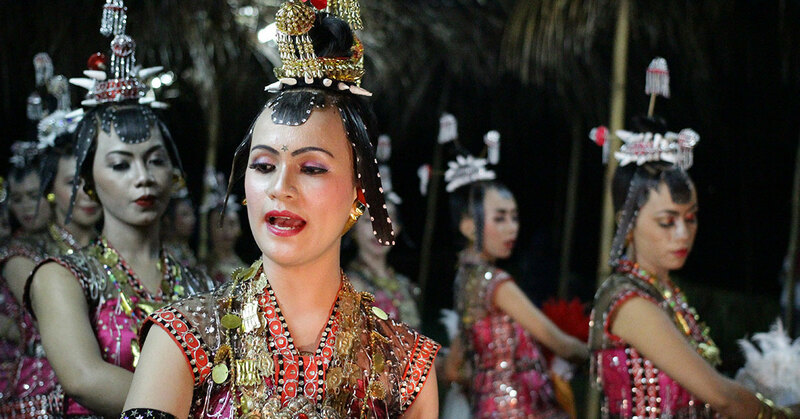 Other unique Wakatobi cultural events and activities – where visitors can see traditional dances, cultural traditions, folk games, music performance and many more – are the cultural spectacle Wakatobi WAVE and Festival Pulau Tomia. Follow their Instagram for more updates about their events! 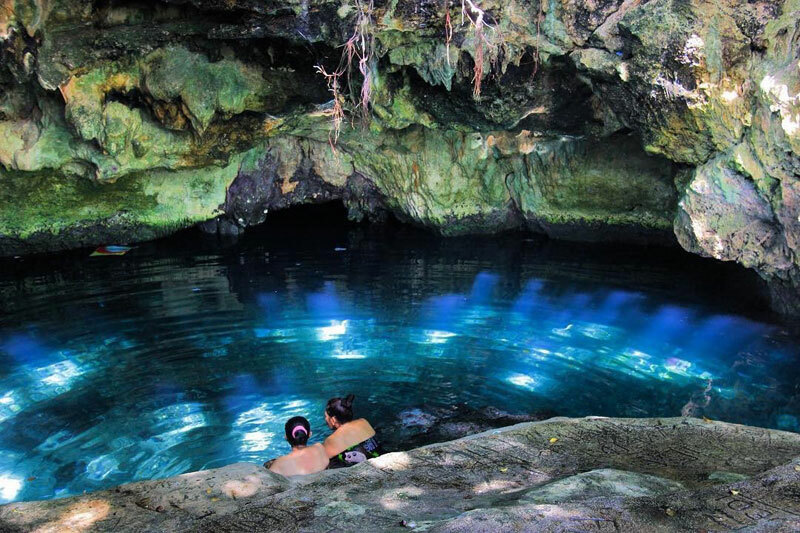 This otherworldly cave is a limestone fresh water-filled cave that has formed since hundreds of years ago. A dramatic array of stalagmites are covered in vibrant green moss, while the two natural pools (one of them serves as an entrance to an underwater cave) are perfectly shaded under a canopy of trees that block out wind and sound to create a peaceful surrounding. 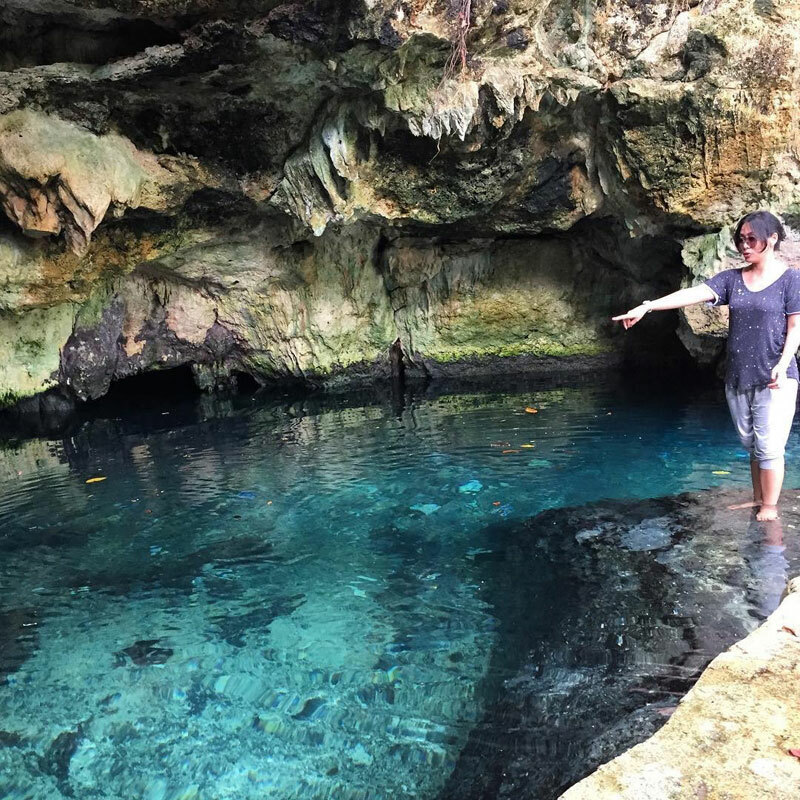 Just 15 minutes (drive) away from the center of Wanci city, Wangi-Wangi, the spring at Kontamale cave actually belongs to residents and is widely used for bathing. But one thing for sure, its transparent crystalline blue water and submerged trees offer a truly breathtaking sight. Especially when the sun rays stream in from the trees and radiate on the blue waters, forming a spectacle of rare beauty. And best of all, visitors to these electric blue pools are able to take a once-in-a-lifetime dip, giving the impression that they are all but floating in space. Location: Wanci Sub-district, South Wangi-Wangi, Wangi-Wangi Island, Wakatobi Regency, South East Sulawesi, Indonesia. Coordinate here. 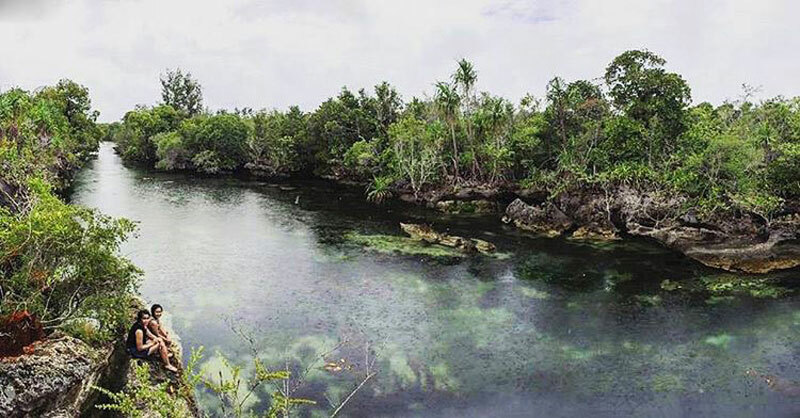 Kaledupa Island is so unique because it has plenty of hollow reefs at the bottom, which allows sea water from the ocean flowing and coming through the inner part of the island, creating saltwater lakes. One of them is the stunning Sombano Lake which is surrounded by dense mangrove forests, various types of orchids and pandanus leaves. 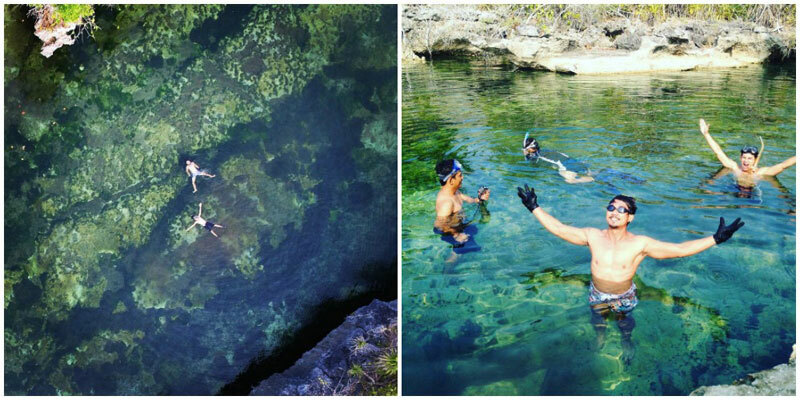 Like any other body of water in Wakatobi, the water in Sombano Lake is crystal clear. 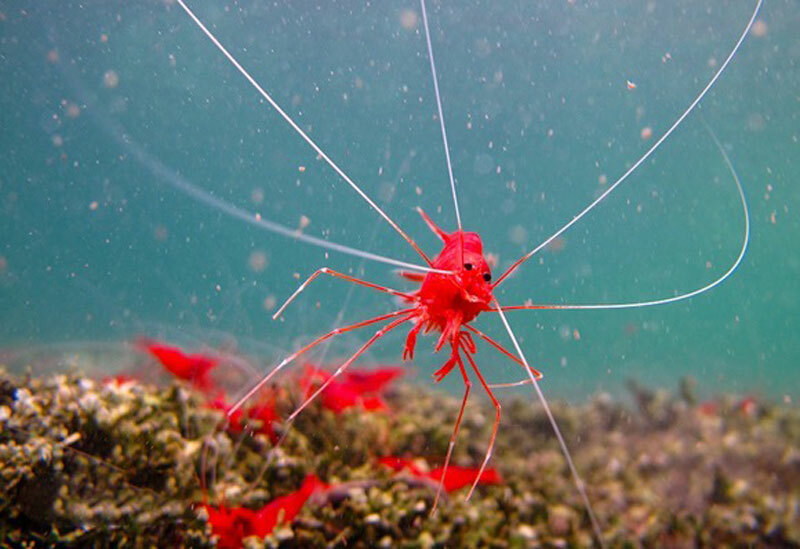 You can even see many blood-red shrimps playfully floating in the bottom of the lake, in contrast to the green algae. Feel free to jump in and play with them! 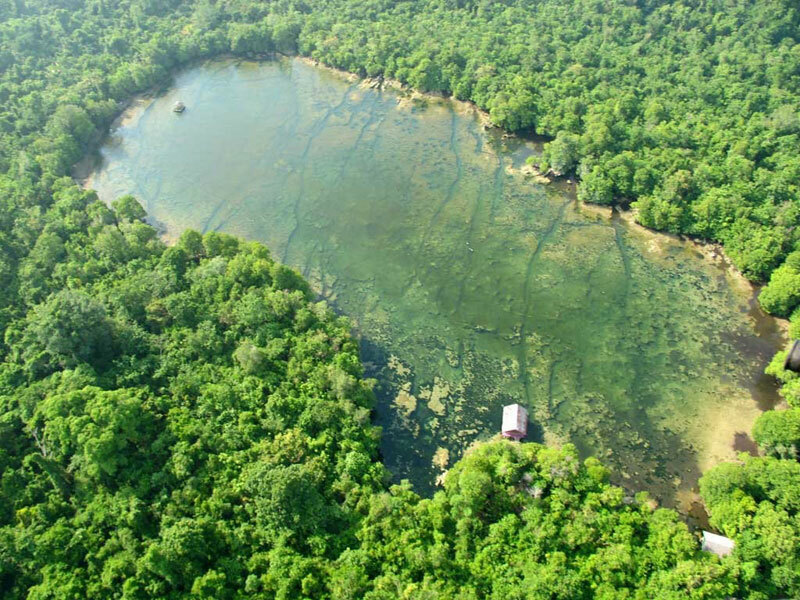 For some villagers, this lake is considered sacred and only few of them are brave enough to swim in there. According to local myth, there’s a huge black crocodile guarding this lake and the shrimps are turning blood-red because they have been cooked to be eaten by the crocodile. To reach this beautiful lake, you will need extra effort, as the track is not an easy one. But all that would be paid off once you arrive and see its beauty with your own eyes! Location: Desa Sombano, Kaledupa Island, Wakatobi Regency, South East Sulawesi, Indonesia. Coordinate here. 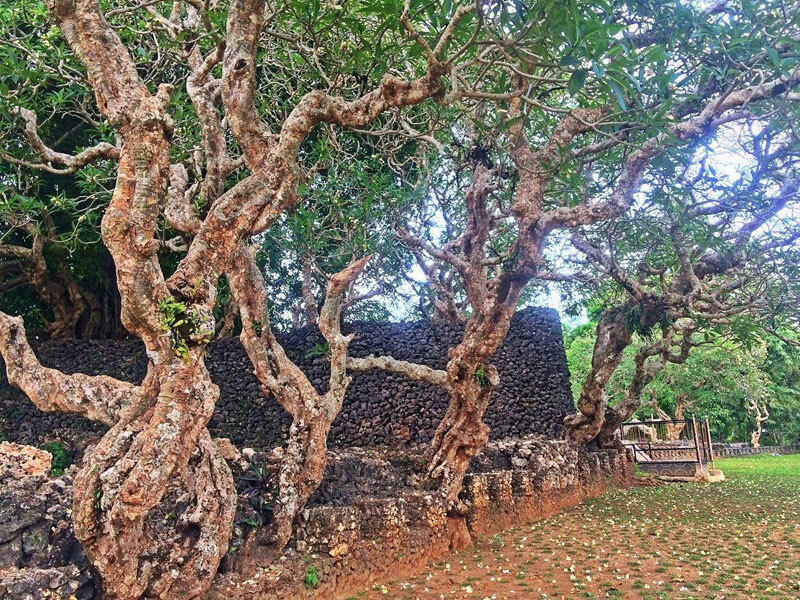 Among many heritage sites and fortresses in Wakatobi, Liya Togo’s Fortress is probably one of the oldest and the most unique. 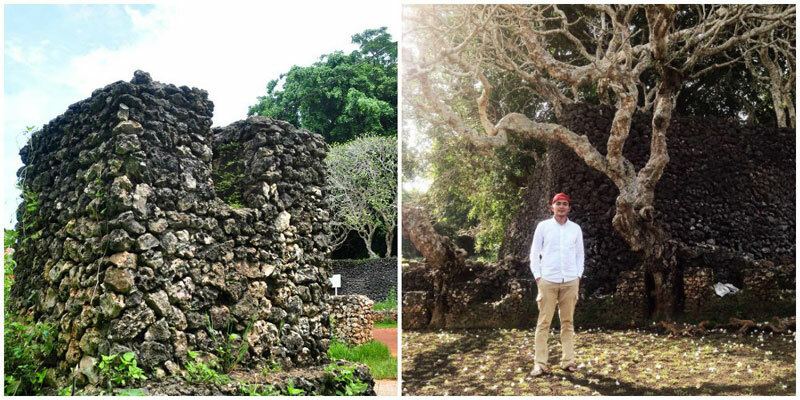 Here, you can see the huge walls that were built from nothing else but stone, corals and mixture of white eggs! In this scenic village, you’ll be able to see the oldest mosque, ancient ruins, royal tombs, cultural ceremonies, and spectacular views. The inhabitants of LiyaTogo Village have preserved traditional values and rituals over decades and have lived their daily lives accordingly ever since. If you have extra time, why don’t you spend a night or two here and learn how to harvest seaweed or row a traditional wooden canoe? Our favorite part is definitely the View Point under the shade of big banyan tree. 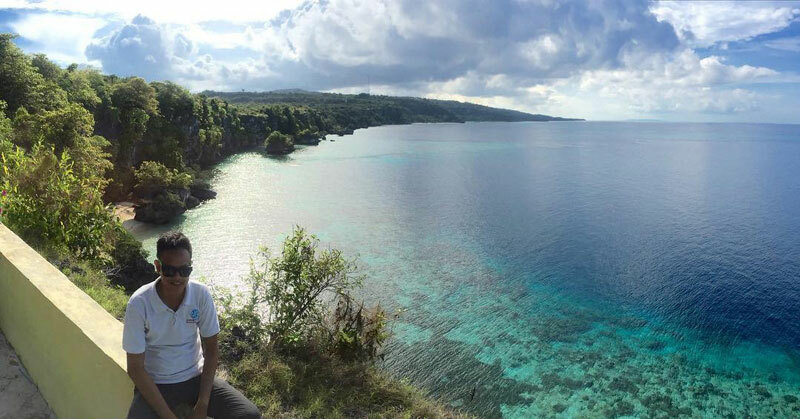 We can spend hours here just enjoying the spectacular scenery (different colors of the shimmering sea!) while sipping refreshing homemade tamarind juice. Location: Keppo’oli Liya Togo, Desa Liya Togo, Wangi-Wangi Island, Wakatobi Regency, South East Sulawesi, Indonesia. Coordinate here. Nda’a is a uninhabited island situated about 40 minutes by boat from Kulati Village or downtown Waha. Surrounded by white sand beach and pristine water, the Nda’a is a perfect destination for beach lovers who enjoy swimming, snorkeling, or just relaxing. With a size not larger than a football field, you can explore this small island and pretend to be like Tom Hanks in Cast Away. 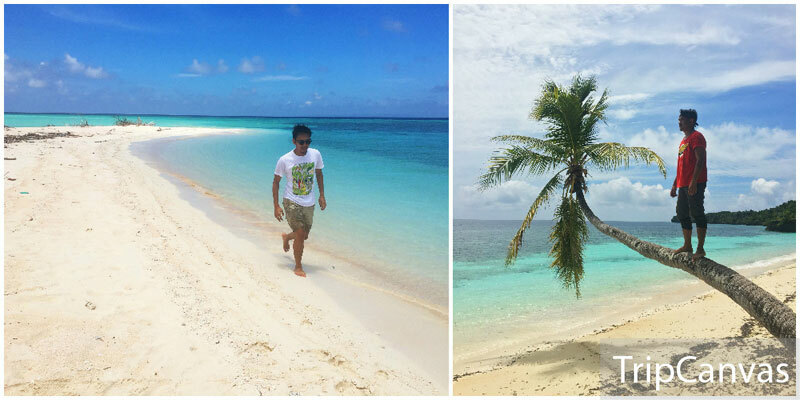 Hu’untete beach is the longest yet most hidden beach on Tomia Island. White sand with rock cliffs and rows of coconut trees along the coast make this beach a perfect hideaway for those who need an escape. In the past, residents used to hide from the Portuguese in a cave near this serene beach. And if you’re lucky, you’ll get a chance to meet the turtles that lay their eggs here! Location: Poassanuhada Kulati Village, East Tomia, Tomia Island, Wakatobi Regency, South East Sulawesi, Indonesia. Coordinate here. 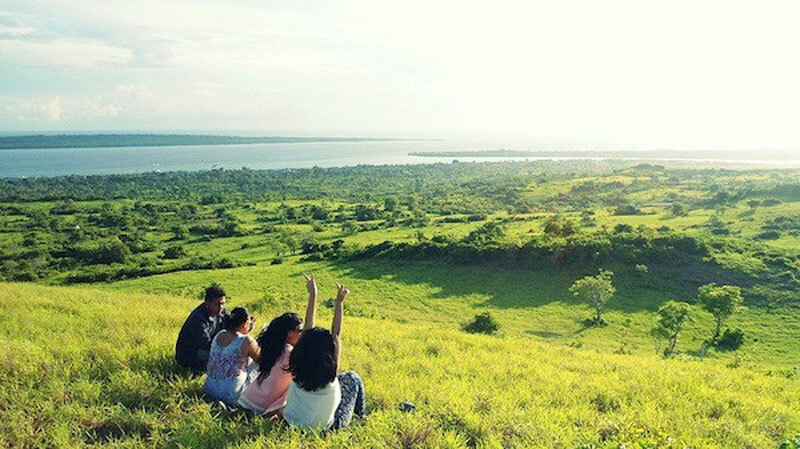 Since Wakatobi has no mountains, this highest spot in Tomia Island (about 250m above sea level) has become a favorite among locals, who spend their weekends picnicking and enjoying the sunset. 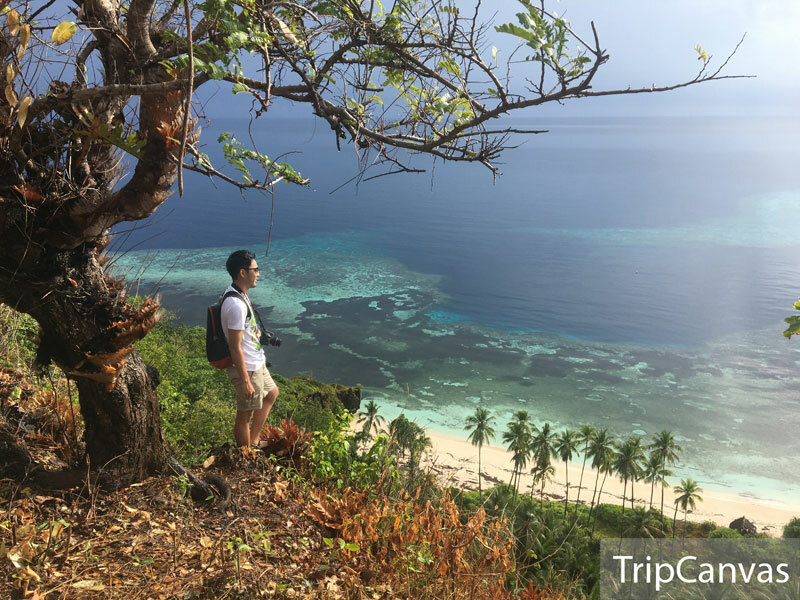 From this peak, visitors are able to see stunning views of Tomia’s scattered villages, coastline with its long sandy beach, as well as small islands nearby (Lentea and Tolondano) and Binongko Island in the distance. Recently, to accommodate the increasing number of visitors, a parking lot, gazebos and other facilities are built without disrupting its natural beauty. 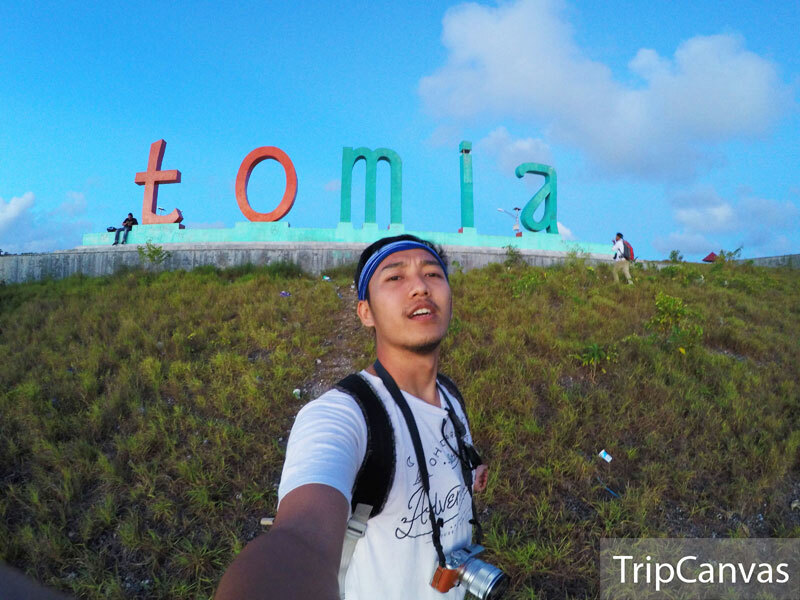 And feel free to take some pictures in front of the giant Tomia sign! Location: Desa Kahianga, East Tomia, Tomia Island, Wakatobi Regency, South East Sulawesi, Indonesia. Coordinate here. When it comes to diving in Wakatobi, it is difficult to know where to start. How are 400 species of coral and 700 species of fish officially recorded? 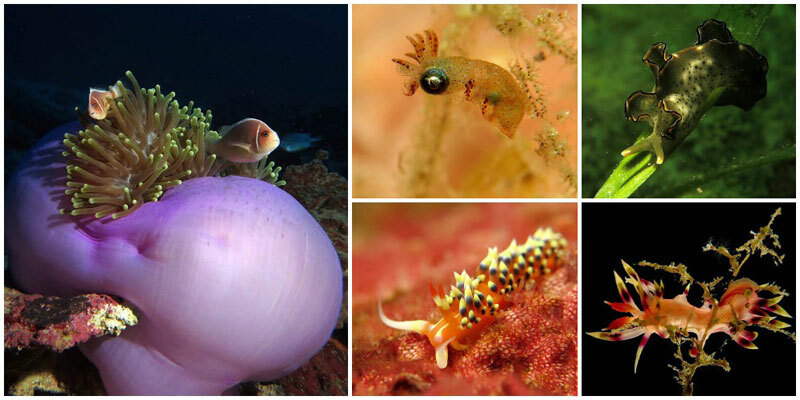 Simply put, Wakatobi Marine Park is a macro-diving paradise. There’s absolutely no need to swim big distances; everything is at your fingertips. As you dive, all you need is a good eye for spotting marine life that can be as small as a baby’s pinky, disguised in clever camouflage or hiding in unlikely places – and of course, a good macro lens for your camera. Besides colorful sea slugs (a.k.a nudibranches), you definitely wouldn’t want to miss the cute pygmy seahorses that call this reef their home. Not into diving? Don’t worry. 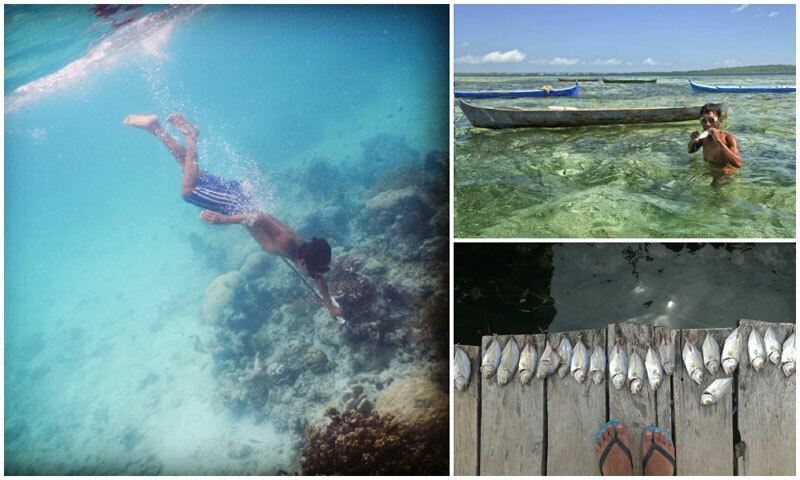 Wakatobi is a perfect place for snorkeling too. With pristine reefs and shallow coral gardens, you won’t be bored even if you are simply spending your days snorkeling! There are plenty of pleasant budget to mid-range accommodations that’s suitable for backpackers, couples or families. Some of them even have daily scuba diving/snorkeling packages. 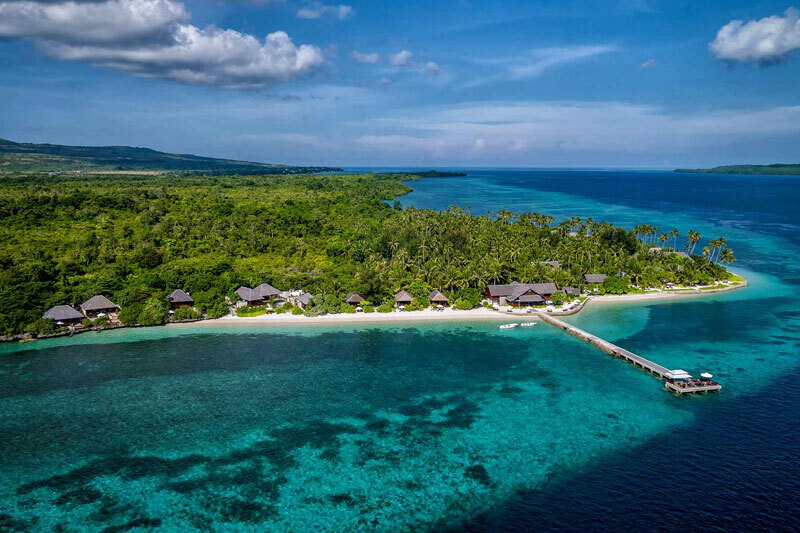 For a hassle-free splurge, travelers can board a charter flight from Bali directly to the Wakatobi Dive Resort, a luxury eco stay on Tolandano island with plush villas, spa services and a yacht that can personalize dive cruises. 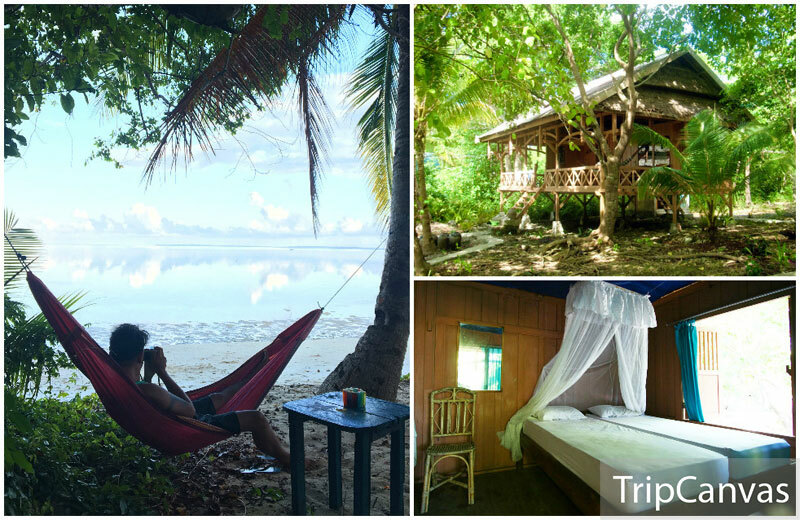 What we love most about Wakatobi is the tranquility of the island and the close contact you can have with nature. So why splurge on your accommodation? We must admit that we were apprehensive when we heard that this place is a ‘resort.’ Yet what we found was paradise. 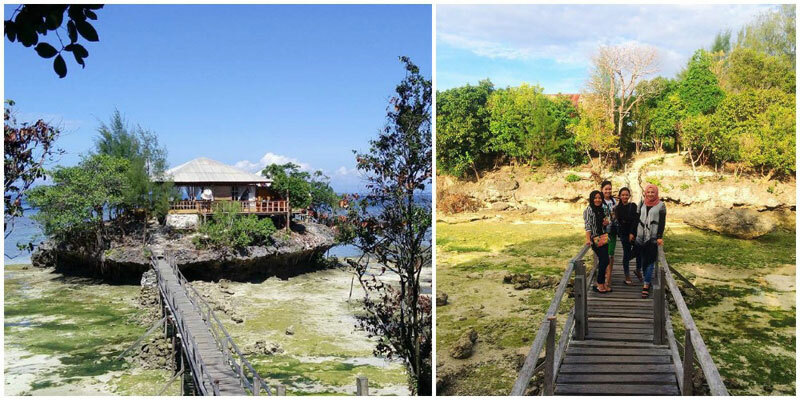 This eco-resort is located on Hoga Island, a 20-minute boat ride from Kaledupa Island (transfer to Hoga IDR 50,000 (USD 4) per person by local boat). Traditional cottages are built on stilts amongst greenery facing the beach and the sea, each with their own balcony and hammock for relaxing. On the beach there are also hammock areas where guests can read, meet for a cold beer and watch the stunning sunset. Without internet access, phone reception (limited) and electricity (only available from 6pm till 10pm), the only things you can do would be snorkeling or diving, reading, or simply sitting in a hammock and watching the fishing boats glide by. So lay back, your day is planned around the flow of the tides, the weather and the three meals that are beautifully prepared by the friendly staff. Location: Hoga Island, Wakatobi Regency, South East Sulawesi, Indonesia. Coordinate here. 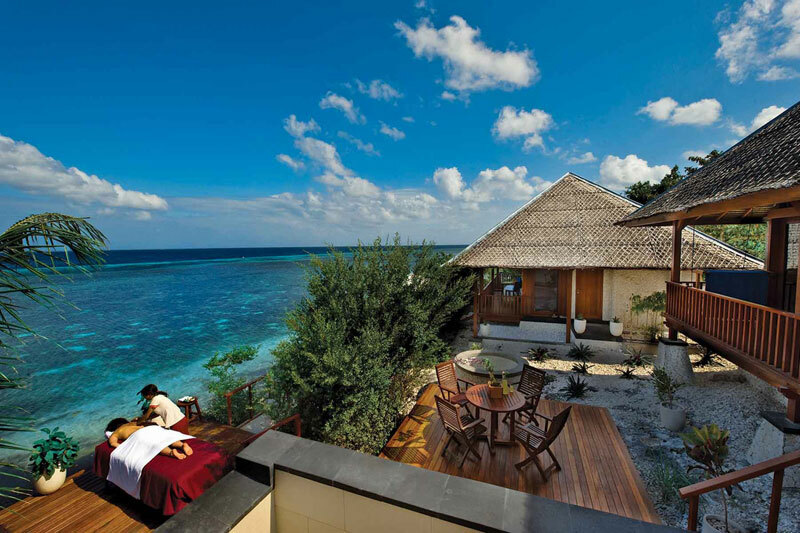 Many people think Wakatobi is expensive, but this resort proves it is not. Although this place does not have a high level of luxury, it has so much more to offer. 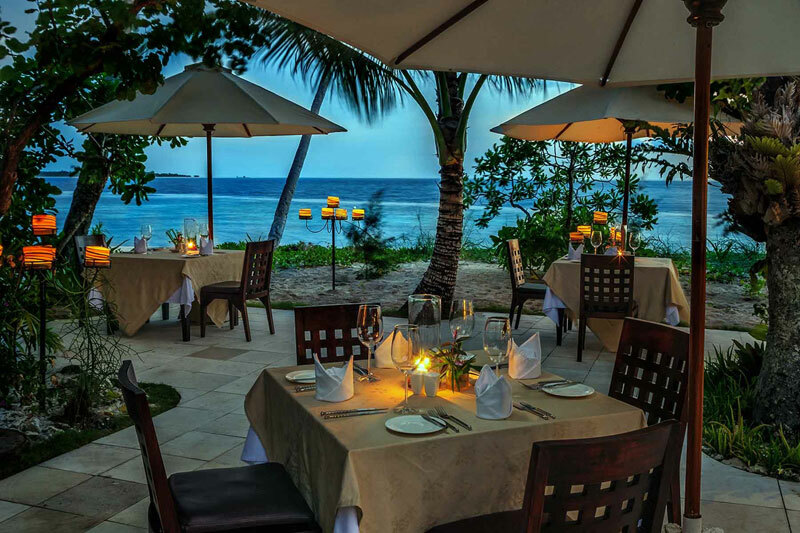 The beachfront setting of the Patuno Resort Wakatobi, along with the preservation of the natural greenery and flowers surrounding the resort, enhances the romantic, peaceful and secluded atmosphere. Natural building materials such as bamboo, teak wood, coconut wood, rattan and palm leaves are used throughout the resort, adding to the natural ambiance. To keep you busy during your stay, there are also many fun activities you can enjoy, from cycling (there’s bicycle rental), diving, snorkeling, sailing, jetskiing, and many more! This is where you can enjoy a certain level of service, escapism and tranquility that is so hard to find these days – no traffic, no pollution, and no other dedicated dive resort for hundreds of miles. Here, the diving is never more than just a stone’s throw away. Regardless of whether you take the boat out or spend time among the excellent house reef, you are guaranteed to see some of the most beautiful reefs that will take your breath away. There are 3 types of accommodation at this resort – the palm bungalows are well spaced from each other and most have a sea view. The ocean bungalows sit closer to the water front with uninterrupted views, boasting of Asian style outdoor showers, sun loungers and hammocks. 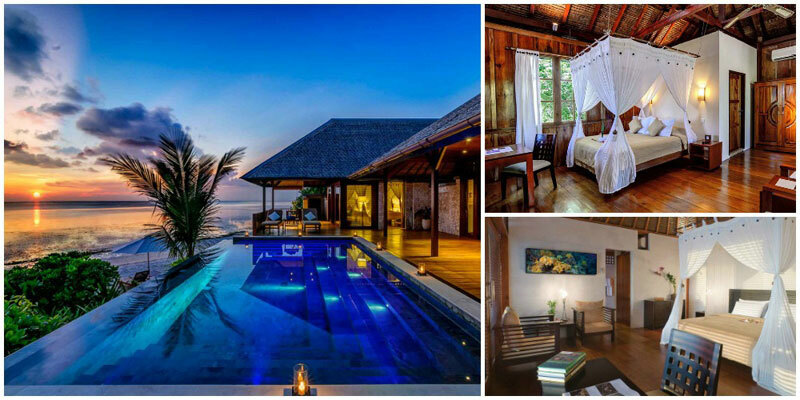 Last but not least, you can also stay in one of their villas to make your vacation even more special. A stop at the spa is a must! 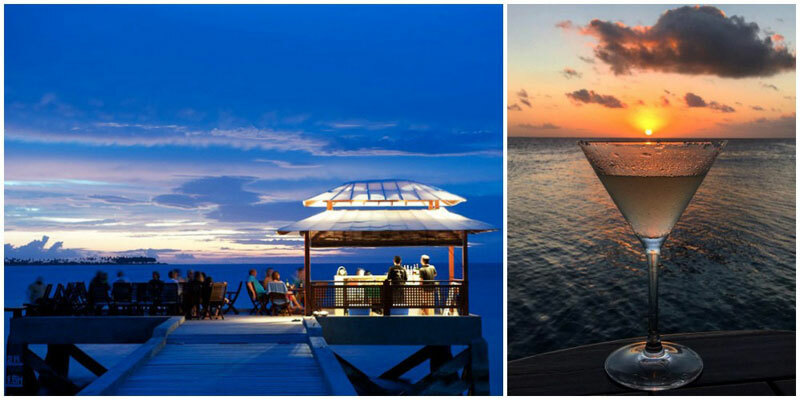 And at the end of the day, watch the sunset from the Jetty Bar followed by a fancy dinner at their famous Beach Restaurant, which caters to all tastes. Good living surely doesn’t get any better than this! Location: Tolandano Island, Tomia, Wakatobi Regency, South East Sulawesi, Indonesia. Coordinate here. 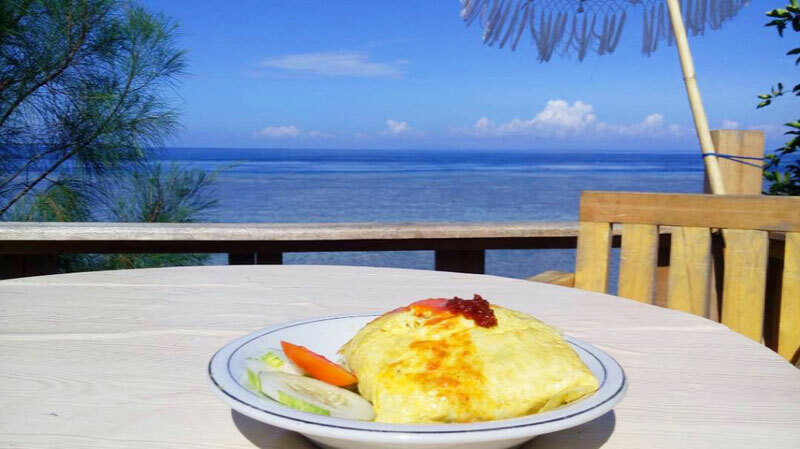 Restaurants are available in Wangi-Wangi Island and Kaledupa Island. A good local restaurant offers seafood and other Indonesian meals (Padang, Java, Makassar) for around IDR 20,000 (USD 1.50) all day. But if you don’t feel like going anywhere, you can always eat at in-house restaurants in your homestay, hotel, or resorts. 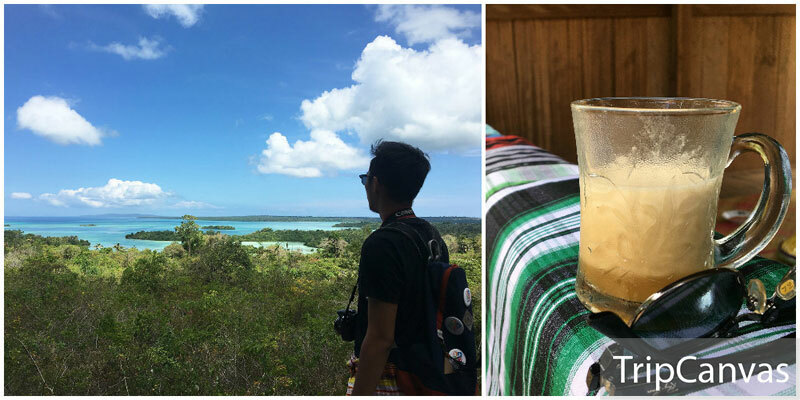 Chilling out at a super cool sunset restaurant with a mocktail in hand (or a refreshing juice), while watching the iconic tropical sunset with a 180-degree view of the vast sea is a must-do in Wakatobi. Perched about 5 meters above the sea on a rock cliff, this place looks like a very humble version of the well-known Rock Bar in AYANA Bali. Unlike Rock Bar, you won’t find long lines of people anxiously waiting under the sun to step inside to get the best seat. But we still advise you to go there early before the sun goes down. The outdoor setting is perfect to catch the sea breeze while hanging out at your chosen spot. To reach the cliff where the restaurant is located is another unforgettable experience. 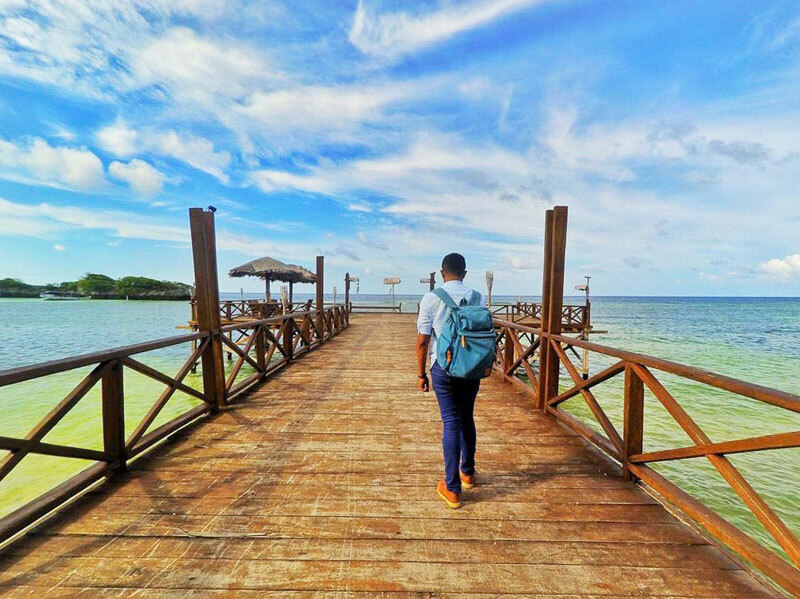 First, you must walk across a narrow wooden bridge over crystal clear shallow sea. It’s so clear, you can even see small fish in the water! As for food, you can find anything from hearty meals like Nasi Goreng (Fried Rice) to snacks like fries or Pisang Goreng Keju (banana fritters with cheese). Address: Jl. Poros Sombu Bandara No. 5, Wangi-Wangi Island, Wakatobi Regency, South East Sulawesi, Indonesia. Coordinate here. Any other information on Wakatobi we’ve missed? Do let us know what else should be included in this guide. 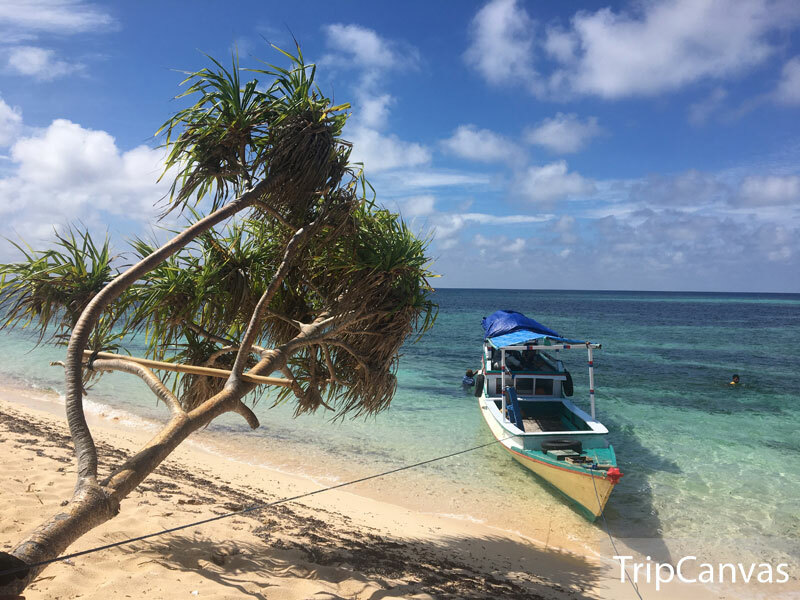 Also check out Wakatobi Tourism board page or install Wakatobi Tourism apps from AppStore/PlayStore for more information about this paradise destination! Former magazine editor who constantly develop a passionate itch to travel, and enjoy the simple pleasures of life (good food and good sleep! ).